In honor of National Bird Feeding Month, we are happy to share this simple craft for creating your own bird feeder. All you need are a few basic supplies that you can find at your local market or home center (wild bird seed, twine, cookie cutters, water and Knox gelatine). Just follow the easy step-by-step instructions at eighteen25. 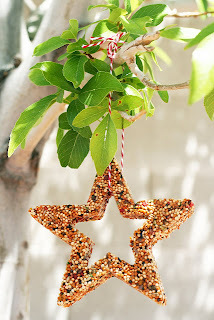 Your kids will love making it and the birds will love eating it! North Tustin Cheer Squad Takes 3rd Place in Nationals! In late February, our North Tustin cheer team flew to Orlando Florida to participate in the National High School Cheerleading Championship in the Youth Recreational Category, sponsored by the Universal Cheerleaders Association known as UCA. The National High School Cheerleading Championship (NHSCC) is the most prestigious cheerleading championship in the country. The NHSCC is held at the Walt Disney World® Resort in Orlando, Florida, and nationally televised on ESPN and ESPN2 to over 100 million homes and 32 countries nationwide each year. Our team, coached by Ms. Bradley and Mrs. Yujuico, did a phenomenal job. They took the stage in front of hundreds of people and displayed confidence and energy while delivering a great routine. The coaches knew that our team would be challenged when it came to the degree of difficulty in their routine. The message they gave the girls was to work towards their strengths and to connect with the crowd. They did exactly that and it resulted in a finish making them third in the nation in a pool of seven teams. Watching our team take command of the stage was inspiring. They had such a sharp performance that it was undeniable that they deserved to be among the top teams in their category! Congratulations to the whole team and their coaches! Go Eagles! 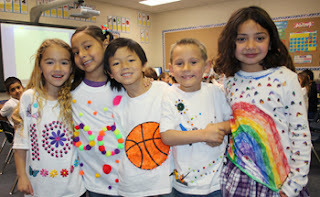 Anaheim Hills Kindergartners Celebrate the 100th Day of School! The 2013/2014 school year marks Fairmont's 60th year of providing quality education. Fairmont Private School was founded in 1953 by Kenneth Holt, and we are so excited to celebrate our 60th Anniversary with you! We encourage you to return your completed re-enrollment contract to your campus Admissions Director by February 22 to guarantee your child's place for this special year. As always, we thank you for being part of our Fairmont family! We invite Fairmont parents and prospective parents to take part in the Orange County Scholar Search Educational Forum being held at Fairmont Preparatory Academy this February. Fairmont has partnered with the Scholar Search Associates to co-host this special event. To make reservations for the Forum go to the Anaheim Forum page on the Scholar Search site and click on "Reserve Your Spaces" located on the blue horizontal menu bar. February is American Heart Month, a time to be aware of and encourage behaviors that support heart health. If you’re feeling a bit guilty about the chocolate you ate for Valentines Day, here’s some good news. 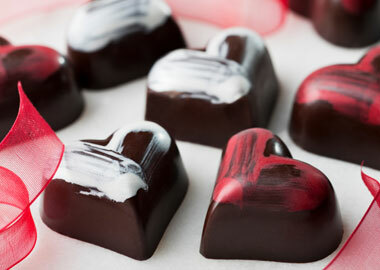 Chocolate and its main ingredient, cocoa, appear to reduce risk factors for heart disease. Flavanols in cocoa beans have antioxidant effects that reduce cell damage implicated in heart disease and may also lower blood pressure. Flavanols are natural compounds also found in fruits, especially berries, vegetables, whole grains, nuts, and green tea. Most of the studies to date highlight dark chocolate's health benefits because it has the highest percentage of cocoa solids, therefore more flavanol antioxidants. Unfortunately for white chocolate fans, white chocolate does not contain any cocoa solids, only cocoa butter, and therefore does not contribute the same health properties as dark chocolate. Recommending chocolate sounds like a dream come true, but consider the calories, fat and sugar that also come with eating that chocolate bar. If you want to indulge, do so in moderation and be selective. Choose dark chocolate with a cocoa content of 65 percent or higher. Yum! Last Friday, our FPS cheer team flew to Orlando Florida to participate in the National High School Cheerleading Championship in the Youth Recreational Category, sponsored by the Universal Cheerleaders Association known as UCA. Our team, coached by Ms. Bradley and Mrs. Yujuico, did a phenomenal job. They took the stage in front of hundreds of people and displayed confidence and energy while delivering a great routine. The coaches knew that our team would be challenged when it came to the degree of difficulty in their routine. The message they gave the girls was to work towards their strengths and to connect with the crowd. They did exactly that and it resulted in a finish making them third in the nation in a pool of seven teams. Watching our team take command of the stage was inspiring. They had such a sharp performance that it was undeniable that they deserved to be amongst the top teams in their category. For more information about the competition, visit http://uca.varsity.com/Nationals.aspx, Click here to watch the Fairmont routine. Fairmont is known for its basketball program at both the elementary/junior high and high school levels. This year, all of our campuses made it to the playoffs, and our Historic Anaheim Campus Boys Tri-Way Team and Girls DSL Team took the League Championship Titles! Our high school basketball teams are well on their way to League Championships and will be playing in the playoffs in the next few weeks. Let's go Fairmont!! The Anaheim Hills campus Debate Team recently won big in an Orange County Competition! 22nd Place Individual Speaker - John S.
19th Place Individual Speaker - Maya W.
13th Place Individual Speaker - Ellie G.
11th Place Individual Speaker - Evan P.
7th Place Individual Speaker - Thomas S.
5th Place Individual Speaker - Austin k.
1st Place Individual Speaker, Golden Gavel Award, & Top 8th Grade Student: Jack R.
Golden Gavel Winner Jack R.
Jack is the FIRST BOY in league history to win two Golden Gavel awards - and we have three tournaments left to go for him to increase the record!!! 3 of the top 15 teams out of all teams came from Fairmont Anaheim Hills! 3 out of our 5 teams won Team Awards! This Valentine's Day gather up the conversation hearts, Skittles and pop rocks and have some fun with these sweet science experiments. Historic Anaheim Wins the Basketball Tri-Way League Championship! Fairmont is known for its basketball program at both the elementary/junior high and high school levels. This year, all of our campuses made it to the playoffs, and our Historic Anaheim Campus came in first place in the Tri-Way League, winning the League Championship title on Thursday, February 7! Our high school basketball teams are well on their way to League Championships and will be playing in the playoffs in the next few weeks. Let's go Fairmont!! What is the educational philosophy of the school? Is the school accredited? Does it have any other affiliations, religious or otherwise? What is the average class size? Student:teacher ratio? What safety and security procedures are in place to safeguard students and teachers? How does the school incorporate technology into the classroom? 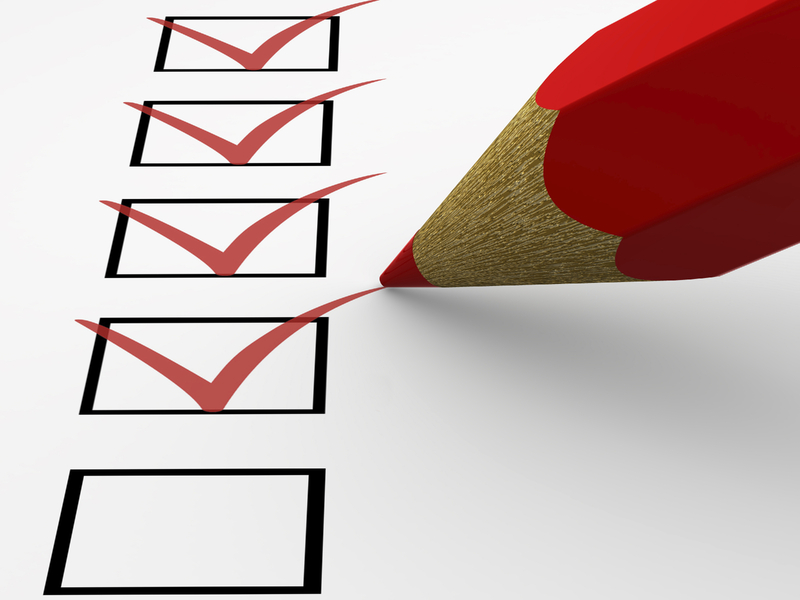 What are the most frequent discipline issues? How does the school handle discipline? How does the school communicate with parents and how often? How are teachers evaluated? How often and by whom? How does the school use data to inform instruction? What special awards, recognition or achievements has the school won? How would you describe the academic rigor and expectations? What expectations does the school have of parents? Is giving or volunteering mandatory? 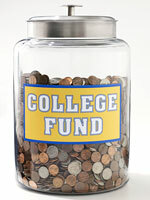 How would you describe the student body (demographics) and campus life? 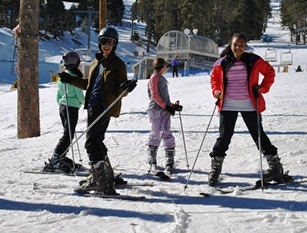 President's Day may not rank high on your kid's list of the most looked-forward-to holidays of the year, but that's no reason to let it pass unnoticed. President's Day is a great excuse to learn a little more about the highest office in the land and about all of the colorful characters who have held the esteemed position of President. Here are some of our favorite presidential reads with reviews from School Library Journal. A simple explanation of the diverse duties of the president of the United States. Beginning with campaign speeches and posters, six children of varied racial backgrounds take turns posing as the president while providing information about the rewards and responsibilities of the position. Touching briefly on various topics including the White House, Congress, the creation of laws, the cabinet, veto power, Air Force One, and the Secret Service, Stier introduces the day-to-day activities of the commander in chief. Who says biography can't be authoritative and fun at the same time? This briskly written book presents our presidents as human beings first, figureheads second. Krull asserts that her intent was to look "at our leaders with a cool, contemporary eye, respectful but definitely nosy." She succeeds admirably. This is the perfect antidote to encyclopedia articles and standard collective biographies. Krull is factual, but her writing has pizzazz and her details bring the heads of state to life. The most coverage is given to modern presidents and the best known leaders of the past, but for almost any of the 42 men, tidbits of information contain insight. Beginning with its wordplay title, this book exhibits Piven's flair for creativity and whimsy. 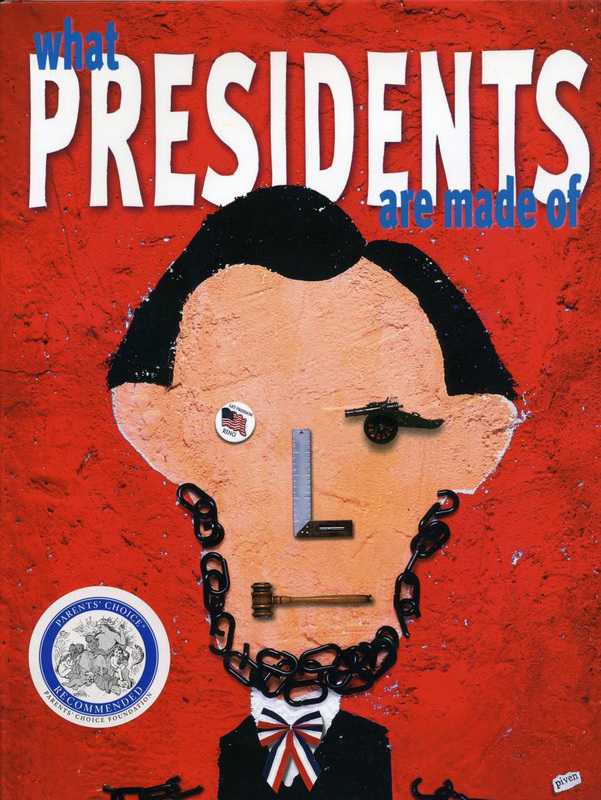 Focusing on 17 U.S. presidents, each single- or double-page entry begins with the same phrase ("Presidents are made of…"), includes an interesting anecdote showing the human side of that individual, and presents a collage caricature made of inventive bits of realia that extend the metaphors suggested in the text. For example, George Washington is "…made of good deeds." The narrative recounts how he helped extinguish a neighborhood fire at age 67. His "portrait" has eyes made of small resin-coated American flags that reflect enough light to make them twinkle. The last spread has official portraits of all the presidents, their birth and death dates, and their years in office. This skillfully abridged and adapted edition of O'Reilly's Killing Lincoln (Holt, 2011) retains the format of the adult title with brief chapters written in a present tense, "you are there" style. It opens in the often-chaotic closing days of the Civil War, capturing the jubilation following Lee's surrender, the events of Lincoln's last days, and Booth's obsessive hatred of Lincoln and his conspiracy to assassinate him. It then describes the shooting and Lincoln's final hours and death, the manhunt for Booth and his allies, Booth's death, and the speedy trial and execution of his co-conspirators. This thriller-like adaptation captures the excitement of the Union victory in the Civil War and the shock and horror that quickly followed as the country learned of Lincoln's death and sought revenge on his assassins. What stands out in this volume is the writing, which presents history as an engaging and informative story. Hollihan opens the narrative with a focus on asthmatic “Teedie.” His efforts to strengthen his body are accompanied by a list of bodybuilding activities. Following the chronology of Roosevelt's life, a positive picture emerges of the man and his family, his rise to fame, and his impact on history. Activities include making a journal, building a diorama, “hunting” with a camera, and even making a dessert based on Roosevelt's insult that McKinley had “no more backbone than a chocolate éclair.” The projects are interesting and accessible, with cautions to keep an adult nearby when necessary. Numerous black-and-white photos, insets, political cartoons, and illustrations break the text into manageable and interesting bits. Each child is unique. It's something that parents know by heart. Sometimes, however, we assume that "one size fits all" when it comes to how we educate children. Fairmont Private Schools works to identify children's academic talents and aptitudes during the admissions process so we can place them appropriately and ensure their success. Beyond the initial assessment, Fairmont's teachers are trained to individualize and differentiate classroom learning so lessons appeal to a wide variety of learners. Auditory learners prefer listening to explanations over reading them and may like to study by reciting information aloud. This type of learner may want to have background music while studying, or they may be distracted by noises and need a quiet space to study. 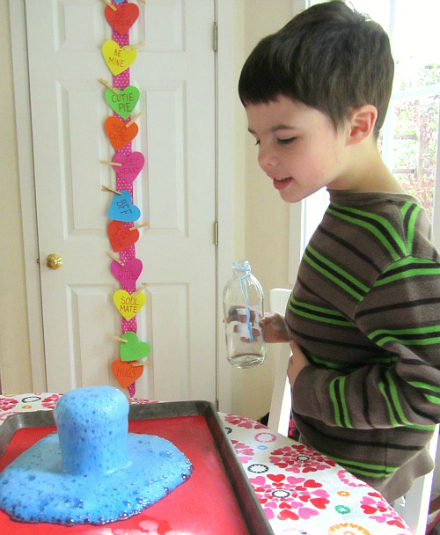 Kinesthetic learners learn by doing and touching. They may have trouble sitting still while studying, and they are better able to understand information by writing it down or doing hands-on activities. 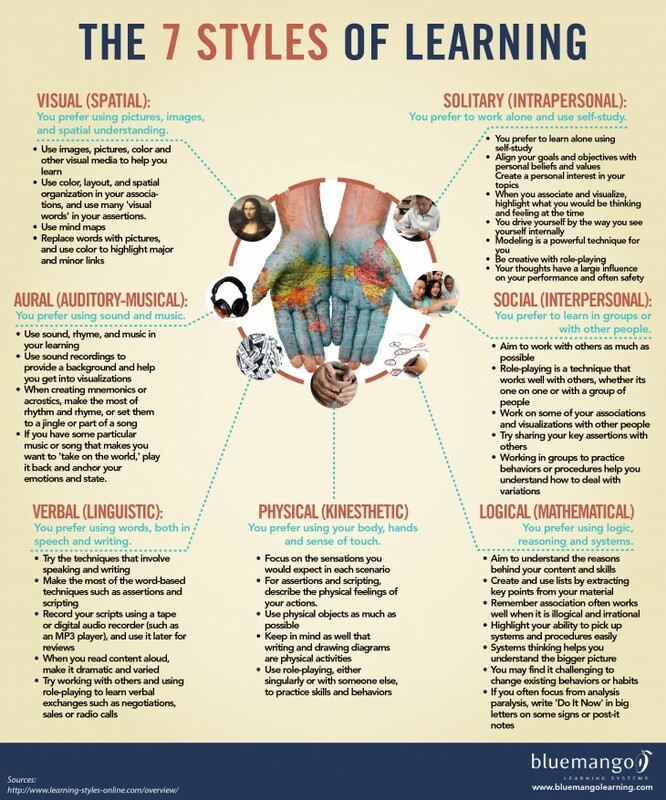 Visual learners process new information by reading, looking at graphics, or watching a demonstration. Children with this learning style can grasp information presented in a chart or graph, but they may grow impatient listening to an explanation. 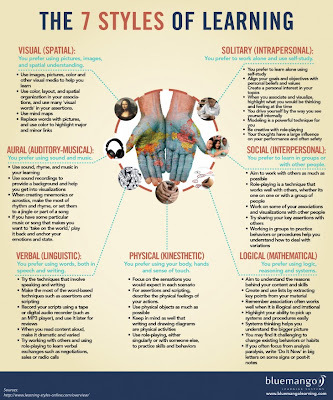 Think you have your child's learning style pinpointed? Just for fun, here's a quiz to see if you're right. 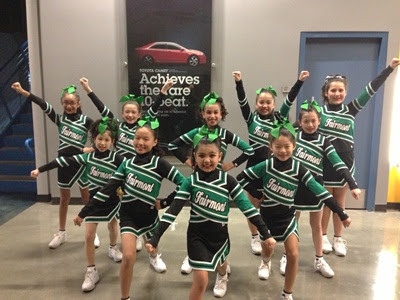 On Sunday, January 27th, the Fairmont North Tustin Cheer team competed in the CA State Championships. The competition took place at the Citizens Bank Arena in Ontario, CA. The squad has been working hard with practices three times a week. 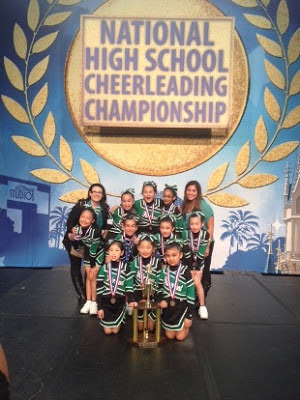 Their dedication and teamwork helped to pull off a great routine that won them 2nd place in the Elementary School cheer division. Their coaches, Blaire Bradley and Joanna Yujuico, along with their parents and family are very proud of the team! The cheer team will soon be heading to Orlando, Florida for Universal Cheer Association's National Competition on February 8-11. Good Luck!